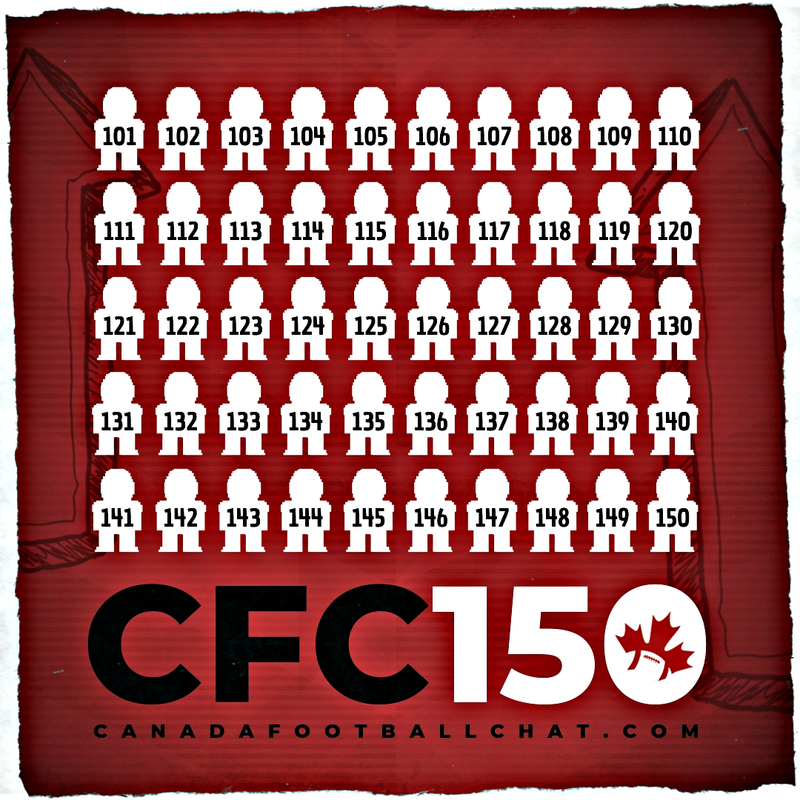 The Canadafootballchat.com (CFC) Scouting Bureau is comprised of CFC scouts, selected private scouts, selected college coaches, and other professional contributors. You can email game film and STATS to the CFC Scouting Bureau for consideration. 2) The CFC100 is updated on a regular basis. A date will indicate the last update. CFC scouts attend camps, clinics, tournaments, games and other football functions to continual update their database. GAME HIGH LIGHT VIDEOS & GAME VIDEOS (Youtube or HUDL) are your next best sales tool. 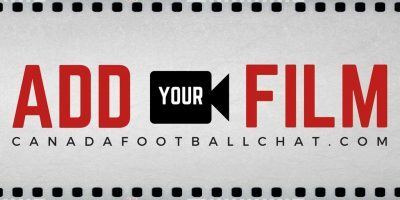 3) Players or their coach can declare they are or have become part of the CLASS 2018 by posting their highlight video on CFC – CLICK HERE . Please email all inquiries, changes, nominations to the CFC Scouting Bureau. 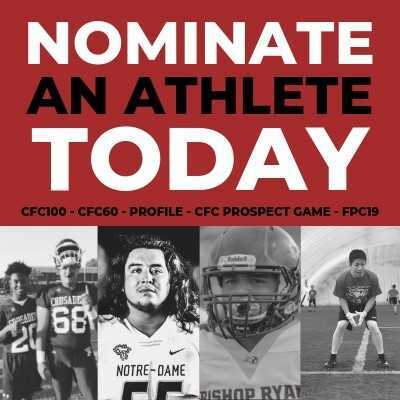 4) Junior College and CEGEP players will now be eligible for the CFC60 prospects list. QUEBEC high school players are now eligible for the CFC100. 5) Criteria includes but not only includes: Athletic potential, athletic frame, NCAA & CIS scholarship offers, football ability, football potential. You must be on track to qualify as a ‘National’ in the Canadian Football League draft (CFL). Post graduates must be attending a football playing school. 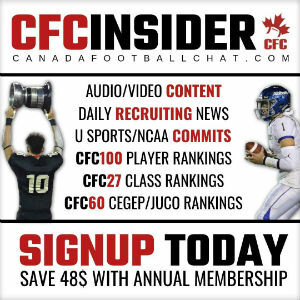 The Canadafootballchat.com (CFC) Scouting Bureau is comprised of CFC scouts, selected private scouts, selected college coaches, and other professional contributors. Coaches/players can email game film and STATS to the CFC Scouting Bureau for consideration.